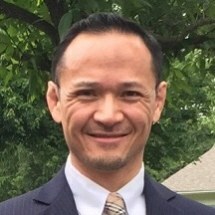 Mr. Lee practices Immigration and Nationality Law with a special emphasis on US Citizenship and Naturalization, Family Based Immigration, Immigration Waivers, Detention and Deportation, and Specialty Visas for MMA and Brazilian Jiu Jitsu Athletes. Mr. Lee was graduated from Yale University with a degree in English and received his Juris Doctorate from Rutgers School of Law in Newark. He is the founding and managing partner of Lee and Garasia, LLC, based in Edison, New Jersey, and has over 19 years of experience handling diverse and complex immigration related matters throughout New Jersey. He was recently listed in the 2013 Nationwide Top Attorneys Showcase featured in Newsweek Magazine (12/31/12 issue) as well as TIME Magazine.